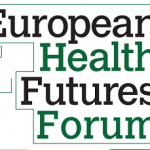 European Health Futures Forum is an open interactive network, seeking out, processing and exchanging knowledge and information in real time to influence the future of health and healthcare in Europe and provide a better understanding of future possibilities for healthier lives and communities. The Forum is the living architecture for transformational change in healthcare. European Health Futures Forum (EHFF) has developed from experience gained through more than ten years of work by a group of European quality practitioners who formed the European Society for Quality in Healthcare (ESQH) in 1998 as a grass-roots network of networks. Twenty European countries are now represented within ESQH with links to government, academic institutions, other NGOs and the European Commission. Previous work has included participation in multinational projects and in policy development within Europe. Over the past ten years ESQH leaders had discussed the need to support innovation and transformation and now look to the growing field of future studies as a way to better understand and influence the course of healthcare in Europe. It is widely recognized that financial pressures, shifting demographics and ineffective delivery systems all dictate that there must be a substantial change in society’s adoption of health and healthcare in the very near future. What is also clear is that no-one is very sure how to do this. Following conversations with DG SANCO, the Oxford Futures Forum and numerous other private and governmental health concerns, it was felt that the development of a European Health Futures Forum (EHFF) could contribute to tackling this dilemma.